How a Manufacturer Saved Thousands of Dollars on HVAC Equipment. We recently worked with a flooring manufacturer in need of an innovative HVAC solution. Their production area created a large amount of air exhaust, and required a steady flow of outside air into the facility. It was clear that the manufacturer needed an energy efficient and innovative HVAC solution, so they reached out to our team at MJC. Our team of experienced engineers understood the specific challenges of the project, and worked alongside the manufacturer’s team to find the right solution for their facility. The solution: Two 100,000 CFM 100% outdoor make up air units that provided heated air to the production area 24 hours a day, offsetting the air exhausted. Additionally, an 8 million BTU direct-fired heat injector containing two air turnover units was installed to maintain space, pressure, and temperature conditions in the winter months. Our units provided a 100% efficient temperature and pressure solution by adjusting makeup air volume when the building fluctuated in pressure or temperature. 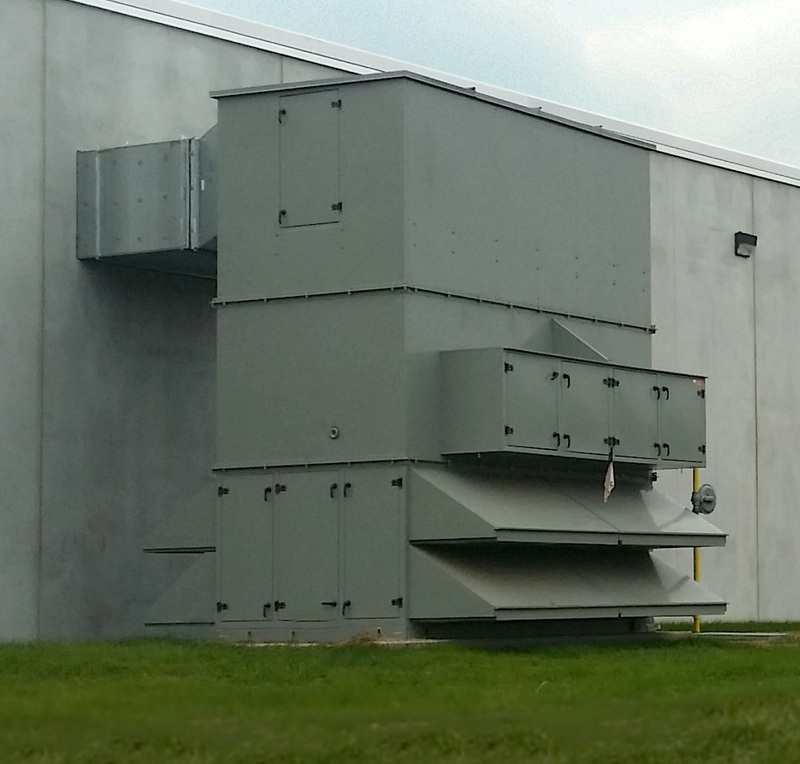 Our highly efficient unit provided a 20% energy savings over a traditional indirect fired heat exchanger system, and saved the manufacturer thousands of dollars. Furthermore, we helped our client save significant installation costs by installing a wireless control system over a typical hardware system. Now, the plant is up and running and able to reallocate their HVAC savings towards what they do best, make great flooring. Have a similar project? We’d love to help. Simply click the button below, and our sales team would love to learn how they can help with your HVAC needs. Contact our sales department to get started today. Copyright 2019, MJC INC. All rights reserved.